According to a Communication Workers of America Union attorney, the Federal Communications Commission will approve the T-Mobile/MetroPCS merger without holding a vote. Monica Desai, attorney for the CWA says the deal will be approved “at the bureau level instead of the commission level.” David Kuat, analyst for Stifel Nicolaus & Co., says this development, if true is a positive signal for the deals prospects. That’s not to say everyone is in favor of this news as Debbie Goldman, telecommunications policy director for the CWA calls it “outrageous.” “It’s unprecedented that a deal that is this big and has raised controversies about its employment impacts would not be voted on by the full commission.” For its part, the CWA is concerned the deal would cut “a significant number of jobs,” but failed to supply a figure in their March 4th filing to the FCC. T-Mobile says it plans to continue hiring at call centers, “increasing the number of overall US positions,” but also failed to give specific numbers. T-Mobile laid off close to 100 employees last week in efforts to cut overlapping staff in anticipation of the deals close. 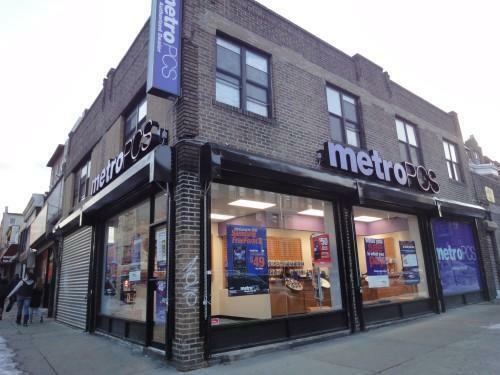 As anticipated, T-Mobile and MetroPCS will continue to run as two separate brands and businesses maintaining two separate networks of retailer stores and dealer franchisees for at least the next two years. The deal is expected to win full regulatory support in the hopes of boosting T-Mobile’s position in the market as regulators begin to look at AT&T and Verizon as having too much power. Yes! I hope they approve it as soon as possible!!!! 4G LTE I AM READY FOR YOU!!! This won’t help with LTE, at least not for a while. MetroPCS LTE is really slow anyway. It’s on-par with T-Mobile’s 3G and way slower than HSPA+. There always is job losses after a merger, that goes without saying. I think the CWA is up in arms about this because they’ll lose those union employees. Funny how they were singing a different tune when they were standing to get a lot of new members when AT&T was trying to gobble up T-mobile. Good, Verizon and ATT need competition. Monthy rates are too damn high. David would you mind putting together a story to elaborate on any information you have on your last comment “as regulators begin to look at AT&T and Verizon as having too much power.”? I know I could dig and Google to put pieces of the story together for myself, but who really has time for that LOL.